Every worship leader has bad habits of some kind. We all tend to fall into a groove in our leading style, playing style, singing style, song choice patterns, microphone dynamics or some other thing we’ve been doing for years. So here are some of my least favorite bad habits that I see pretty frequently, including when I lead. 1. Shouting Out The Words: You know what I mean. You felt compelled to lead a song that wasn’t in the original plan. You’re already playing in the key of A, so why not throw in How Great Is Our God? You get through the first verse and chorus just fine but for some reason you just feel like you have to yell out “Age to age he stands” just before you sing “Age to age he stands.” Trust me when I tell you everyone knows the words to most songs like this and you cramming in five words between the last upbeat and downbeat before you start to sing the next verse is just distracting–way more distracting than if one of your five background singers sang a wrong word or two that no one will hear anyway. Trust your team. Trust your congregation. Sing the song. We’re not narrators, we’re leaders. 2. 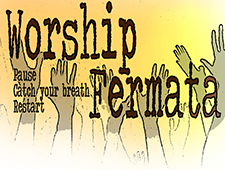 Sing The Melody: Chances are you’re a worship leader at least in part because you sing well. Maybe you sing really well. If you’re trying to win American Idol or The Voice maybe that matters, but as a worship leader one of your jobs is to make it as easy as possible for the congregation to sing with you. Fight the boredom of singing simply if you really are a great vocalist and remember if you’re singing harmony or some silly vocal run, you just lost everyone in front of you. We’re not there to impress anyone with our talents. We’re there to lead. Remember the K.I.S.S. principal – Keep It Simple Singer. Ok, I made that up. 3. Song Keys: Fight the urge to sing and play every song in its original key. When Chris Tomlin recorded How Great Is Our God in the key of C, he recorded it for you to listen to on a CD, in the key that best fit his vocal range. When you sing a song during your service you are singing it in the key that best fits them. And the “them” is usually the average, non-singer type person in the seats in front of you. Big difference between you (trained/skilled) and them (don’t know a Bb from a flat tire). 4. Song Keys Part Deux: Music radio programmers painstakingly put together song sets based on tempo and keys. They rarely follow a song in the key of A with a song in the key of G# because there’s just an unpleasantness to conflicting key signatures when all you are doing is listening to the recorded music. This is not the case with live music or music that requires participation from the audience. Don’t feel like you have to play your entire set in the same key, or using the circle of fifths as a guide. It simply doesn’t matter in the live worship experience, especially if you can transition from one key to another without having to add or remove a capo or change instruments.